Yesterday David, Kim, and Bill were chasing Albacore in NC with steady temperatures in the middle 70’s. 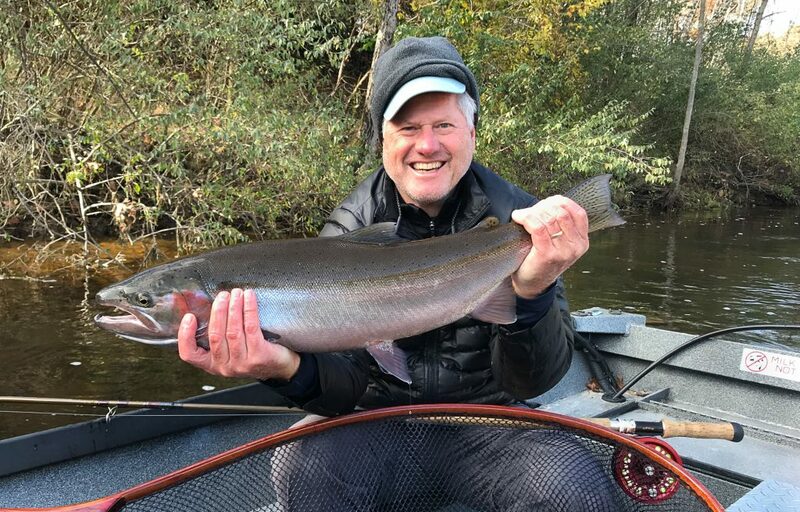 Today the guys arrived in Michigan at the Muskegon River Lodge with steady temperatures in the low forties to swing flies for fall steelhead. That’s a 30 degree swing in 12 hours–giddy up! Thankfully the guys quickly took to the technique and Bill posed this nice buck steelhead on his first swing of the day! Thats good living for sure!